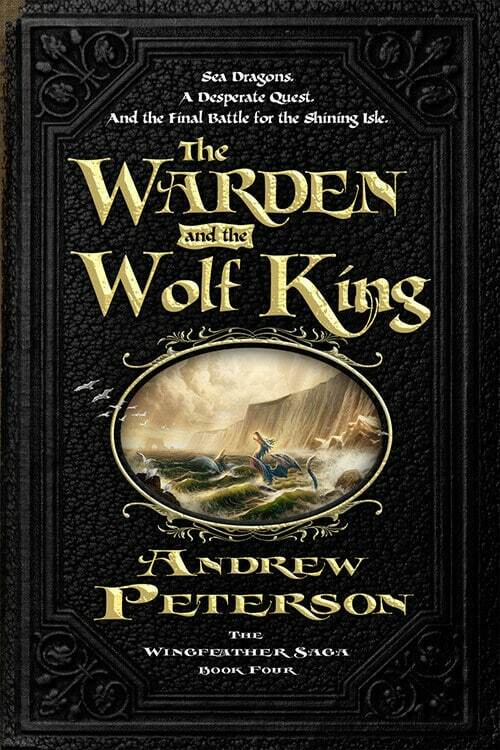 The Warden and the Wolf King, Andrew Peterson’s conclusion to the Wingfeather Saga, brings the entire series to a thundering close, fully living up to the excellent standard that the first three books set for it. Everything hurtles towards the end, and hopeless situations pile up like flabbits in a totato patch. It’s a fitting end to the characters, story, and world of Aerwiar, and a fantastic cap on an already-fantastic series. I firmly believe that every ending book in a series should feature two things: insurmountable odds with seemingly no escape, and lots and lots of time with the characters that we’ve grown to love. After all, it’s the final hurrah, and we want something spectacular. Warden and the Wolf King delivers in both departments. Of course, everything’s wrapped up in Andrew Peterson’s signature style. Growing from his first book, On the Edge of the Dark Sea of Darkness (link), I’d now describe it as C.S. Lewis-like, which is high praise. He often strikes the perfect balance between childlike wonder and emotionally gripping storytelling. This is a book that children will love, and adults will also appreciate. Peterson is quite an accomplished writer and I fully believe this series will earn a place close to C.S. Lewis and Tolkien on many children’s bookshelves. It’s definitely a cut above other young adult fiction being published today. Why? The Warden and the Wolf King oozes substance. It’s a hefty book, and gives a great deal of time to wrapping up all the loose ends that the first three books in the Wingfeather saga created. The odds have never been lower, and there seems to be no way for our heroes to escape. It’s in this hard, dark place that we see the true colors of Janner, Kalmar, and Leeli Wingfeather. Pressed by everything around them, this is when these characters shine. Readers will grow to love Leeli’s quiet bravery, fighting Fangs with her whistleharp. Kalmar’s struggles with his inheritance and his identity echoed in my own heart. And of course, Janner’s struggles are the absolute highlight of this series. His growth into manhood and his job as Throne Warden is absolutely the highlight of the series. Read the book. Of course, everything ties up with the perfect bittersweet ending. No spoilers (for that you’ll have to read the series), but it’s well worth it. Peterson plays on all the emotional strings available to him, and he brought me to tears more than once. I never cry when reading books, but this one made it happened. I also threw this book, and I never throw books. Suffice it to say, the extra length of Warden isn’t just fluff — it’s a substantive and deeply moving story. 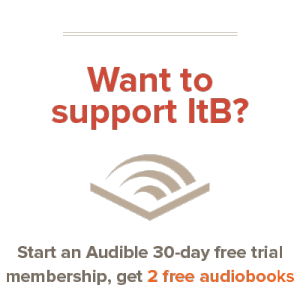 I highly recommend it, especially considering the three great books that it is coming after. There’s something special about The Wingfeather Saga, and I look forward to reading it to my children someday. Andrew Peterson has managed to write an incredible stories, with characters that I love and relate to, and a message that echoes truth that I know to be real in the very core of my being. This is a book (and series) that sends shivers up your spine. I’m calling it now: The Wingfeather Saga is a classic, and both children and those with child-like hearts will find years and years of joy in its pages. The book is fully as good as the praise!